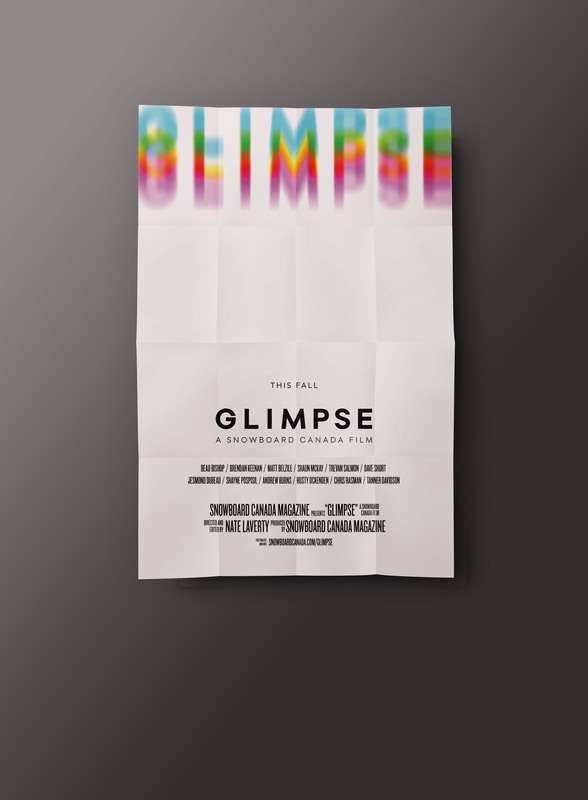 Glimpse is the follow-up film to Relax and is Snowboard Canada's second snowboard film. Filmed and edited by Nate Laverty. 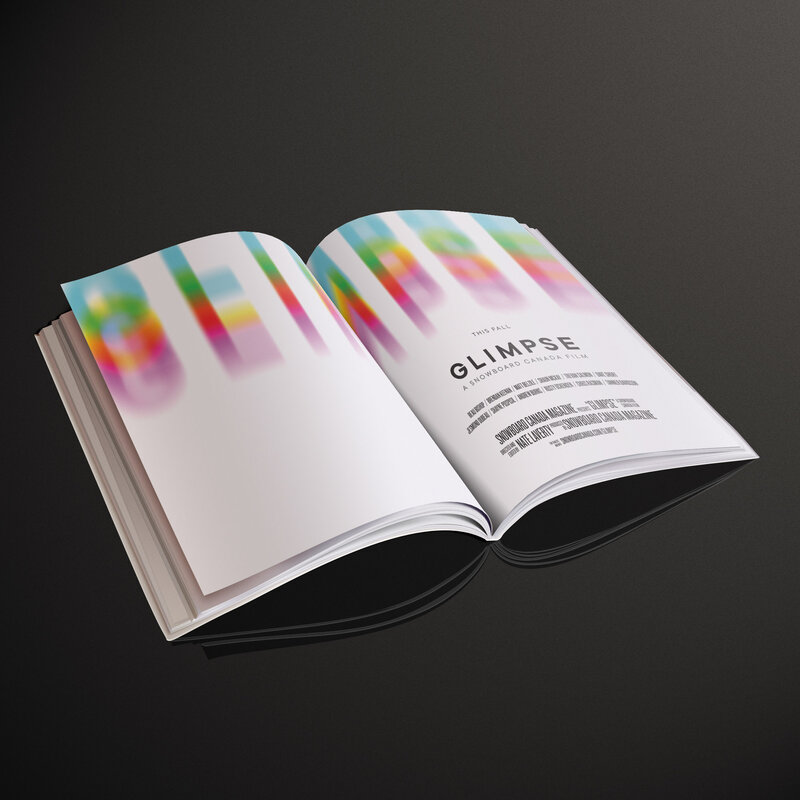 The look was built from the ground up including wordmark and various pieces to promote the film, website, poster, podcast and advertising. A motion title was also created for the film.